My latest review for Diehard Gamefan has been published. Pleae check it out. Here's a small excert from it. "Avernum: Escape from the pit is actually the second remake of Spiderweb’s first game, Exile: Escape From the Pit, from back in 1995. The first remake, released in 2000, was just simply called Avernum. The first remake completely overhauled the graphics, audio, and added more content. Exile and Avernum 2000 are point and click turn based role-playing games in the same vein as Baldur’s Gate, Planescape: Torment and Icewind Dale. 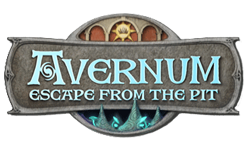 Now twelve years after the first remake, is there anything left to be added or improved upon in Avernum: Escape from the Pit?"